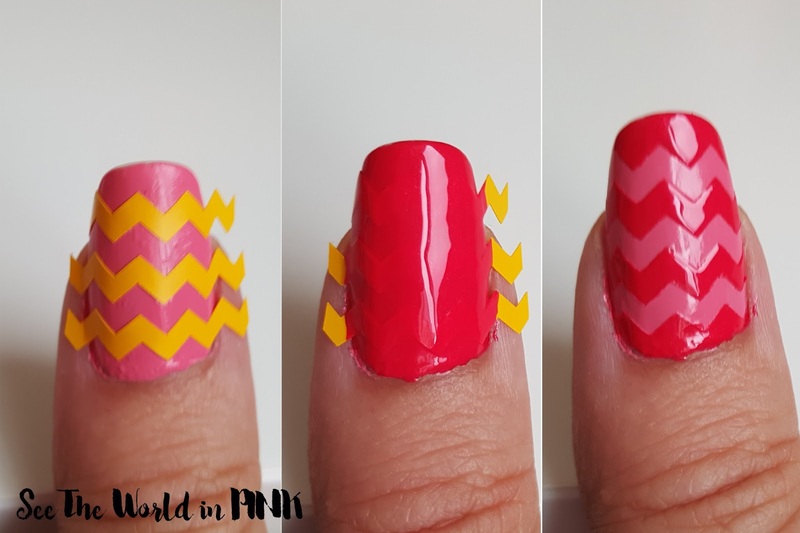 Manicure Monday - Chevron Nail Art and a Quick How To on Nail Vinyls! Happy Mani Monday! 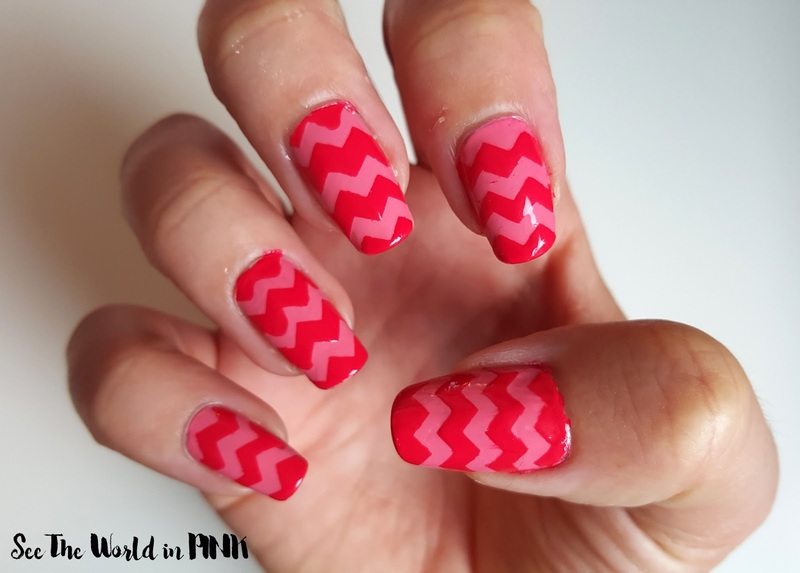 This week I am going for something bright and fun - coral and peach chevron nails! I love how bright and fun these are! 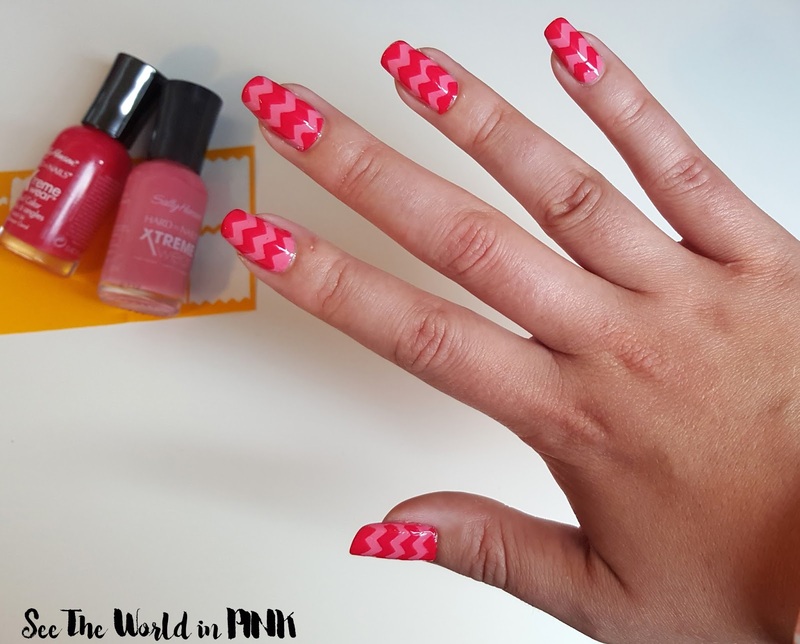 Nail vinyls are fairly easy to use and help make nail designs like this very easy! -Sally Hansen Xtreme Wear polishes in Caribbean Coral (darker) and Giant Peach (lighter) - or any 2 contrasting shades of your choice! Using a pair of tweezers or your fingers, place and line up the stickers - these are repositionable, so if you haven't lined them up right on the first try, just lift and move around. Make sure to push down in the sides of your nails so there is not any lifting. Paint a quick, thick coat of polish over top of vinyl. Do not let this layer dry. Quickly, using tweezers (or your hands but it will be messy) lift one edge up and peel vinyl carefully away from nail. Let this dry very well and finish with top coat! I love how this final look turned out! While this is an easier look to do, I will stress that you have to give yourself enough time to let the polish dry or it will be everywhere!